Father Joe Carroll is a San Diego hero who has dedicated his life to ending homelessness one life at a time. Learn about his humble beginnings and his profound role throughout the history of Father Joe’s Villages. Father Joe Carroll’s efforts on behalf of poor and impoverished people in San Diego are legendary. Born in the Bronx in 1940, Joseph Carroll grew up with his parents and seven brothers and sisters across the street from St. Joseph Church. Joe moved from the Bronx to Southern California in 1963, where he entered the seminary. In 1974, he was ordained a Catholic priest and devoted the next eight years to parish work, building a strong group of supporters who found his charisma and gregarious personality hard to resist. 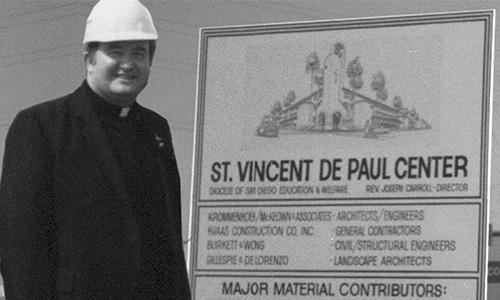 In 1982 when Bishop Leo Maher went looking for someone to take over St. Vincent de Paul Center, he is said to have asked his clergy personnel board, “Who is the biggest hustler in the diocese?” Each member of the committee had the same answer: Father Joe. “He can squeeze money out of a rock,” said Monsignor Dennis Mikulanis, a longtime friend who was on the committee. So, Bishop Maher charged Father Joe with establishing a “preferential option” for our community’s neighbors in need. Father Joe likes to say that he tried to politely decline the task, since he was unfamiliar with this type of work, but the Bishop insisted that he was the man for the job. immensely innovative and resourceful man, Father Joe embarked on creating an entirely new, one-stop approach to providing services to those struggling with homelessness. This approach is the hallmark Father Joe’s Villages’ St. Vincent de Paul Village and other programs. 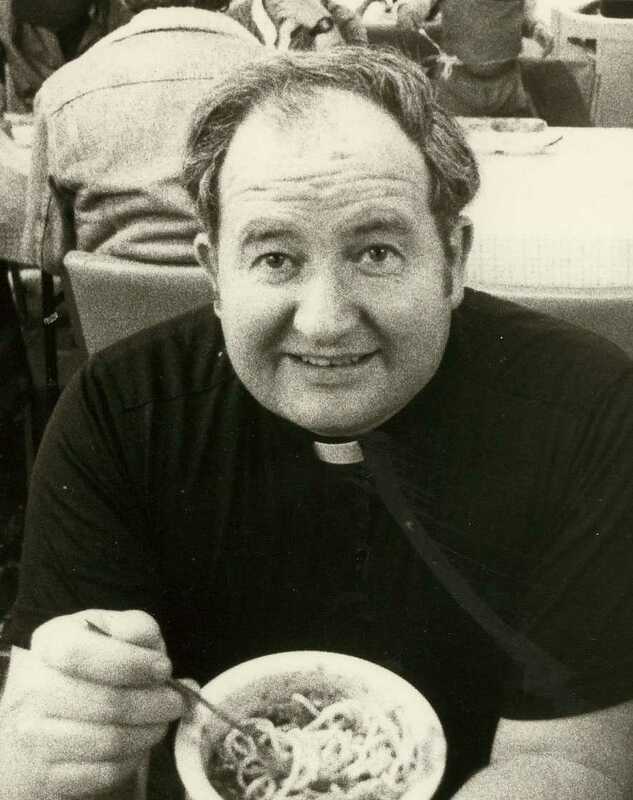 In 1987, only 5 short years after taking the helm, Father Joe expanded his ministry from handing out peanut butter sandwiches to people on the streets to the opening of a $12 million facility known as the Joan Kroc Center. The first of its kind, the facility included housing for families and single adults, a medical clinic, childcare, meals, and job training all under one roof. The Joan Kroc Center was followed by the Bishop Maher Center in 1989 and the Paul Mirabile Center in 1994. As an icon of the Southern California region and beyond, Father Joe Carroll selflessly and tirelessly served our community for more than three decades. Although he retired in 2011, as President Emeritus, Father Joe continues to lend a hand in our community with charm and with deep care and compassion for our neighbors in need.